popsicle Archives - What the Forks for Dinner? Warm summer evenings…….you need something cool…….but you love coffee…….too hot for coffee……..think again! 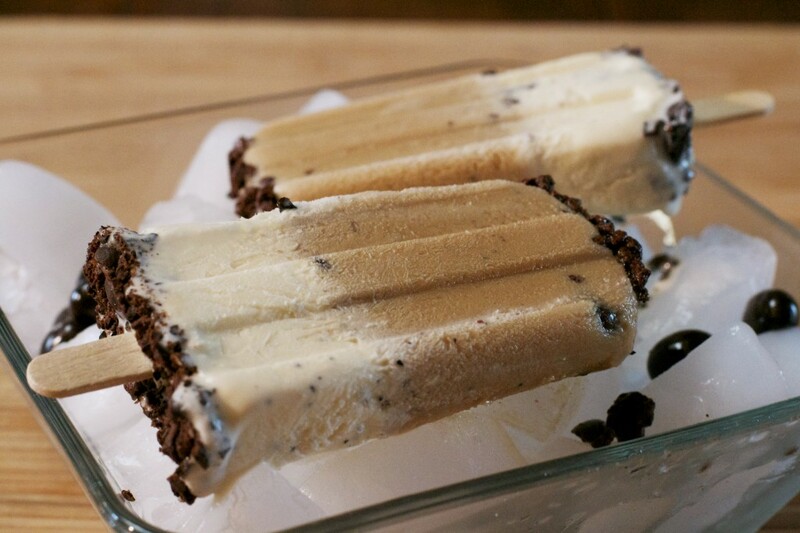 Chocolate Espresso Bean Popsicles are just the ticket. 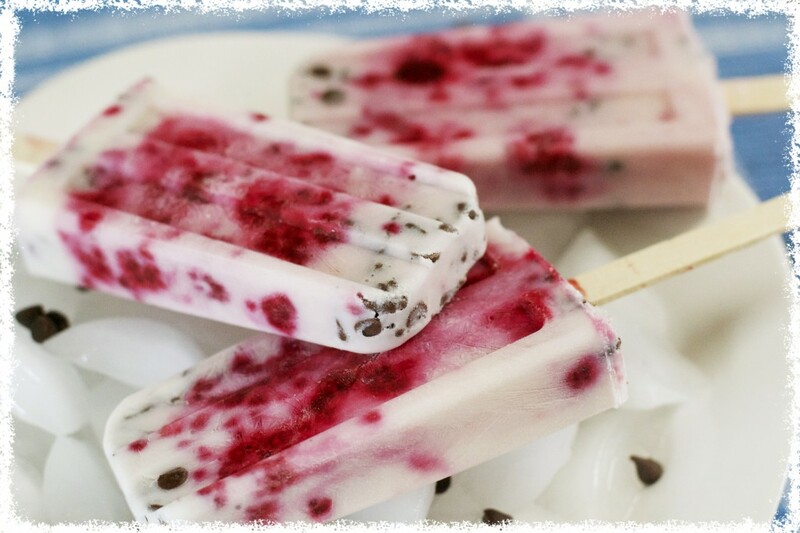 The only popsicles I have ever made were the ones you made with Kool-Aide when you were a kid. Everyone had the Tupperware popsicle mold, and all we had to fill them was Kool-Aide or juice. Well, times they have a changed! 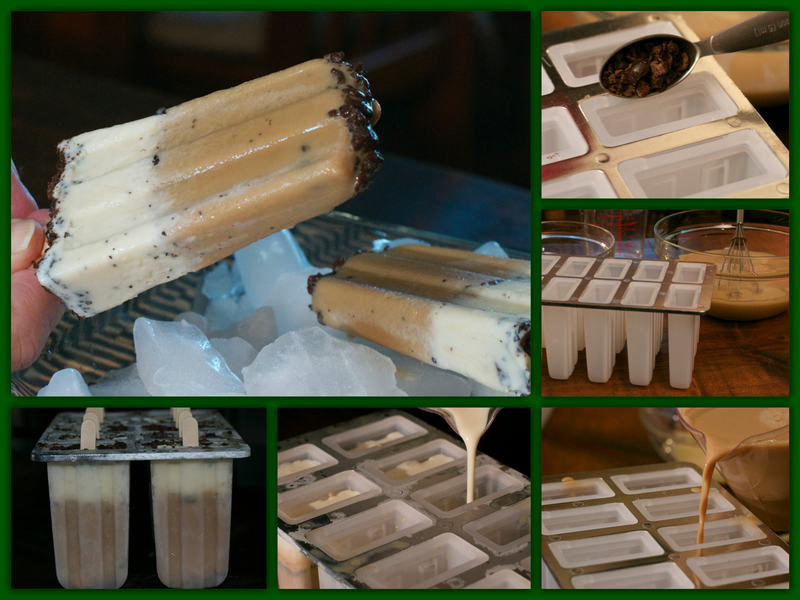 I have seen many recipes for popsicles on Pinterest, and thought I would give some a whirl. Tim and I love coffee! In the summer we make iced coffee by the pitcher full. We discovered that a french press makes perfect iced coffee. 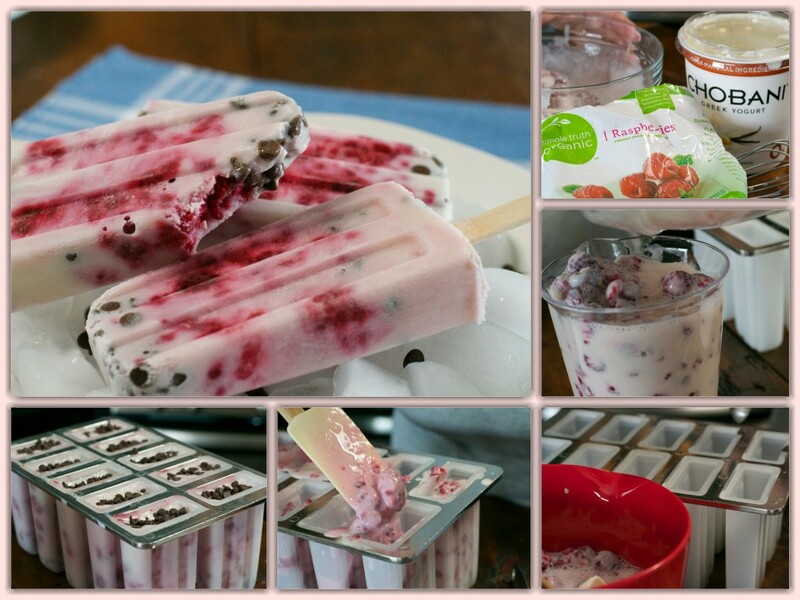 So why not make popsicles? First I needed the molds. And if all else fails check eBay. With the molds purchased and on the way I needed a recipe. I wanted a creamy sort of latte taste, so I needed some type of milk. I tried sweetened condensed milk, its sweet and creamy so I hoped it would work. I blended it with hot coffee and poured it into the mold. I also wanted some visual interest, so I mixed the condensed milk I didn’t use in with some cream. That’s how you make ice cream, so why not. We like a little crunch in things so, chocolate covered espresso beans. Besides being chocolate and all kinds of yummy, they make them look really pretty! I would never have tried the espresso beans, but years ago one of my girlfriends Michelle, owned a cafe, deli, bakery, coffee shop……..The Herb Garden Deli,Cafe and Bakery. It was a great place, and in the coffee shop, we had chocolate covered espresso beans……..I was leery. But I tried them and all I can say is they are addicting. So, thank you to Michelle for broadening my horizon, so I could years later make this recipe. Place 2/3 cup sweetened condensed milk in a bowl or measuring pitcher. Pour the hot coffee over the top and stir until blended. Allow the coffee to cool for a few minutes. 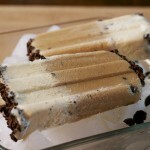 Place 1 teaspoon of crushed espresso beans into each popsicle mold, then carefully pour the coffee mixture into the molds, until about 2/3 full. Place in the freezer and freeze until slushy, about 1- 2 hours. 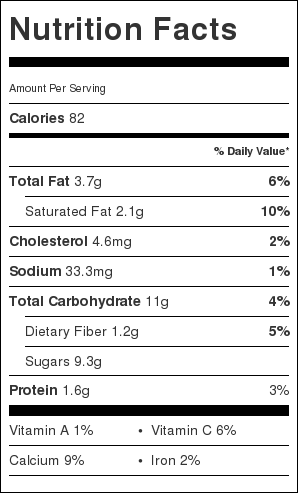 Mix the heavy cream with 3 Tb. sweetened condensed milk and vanilla. 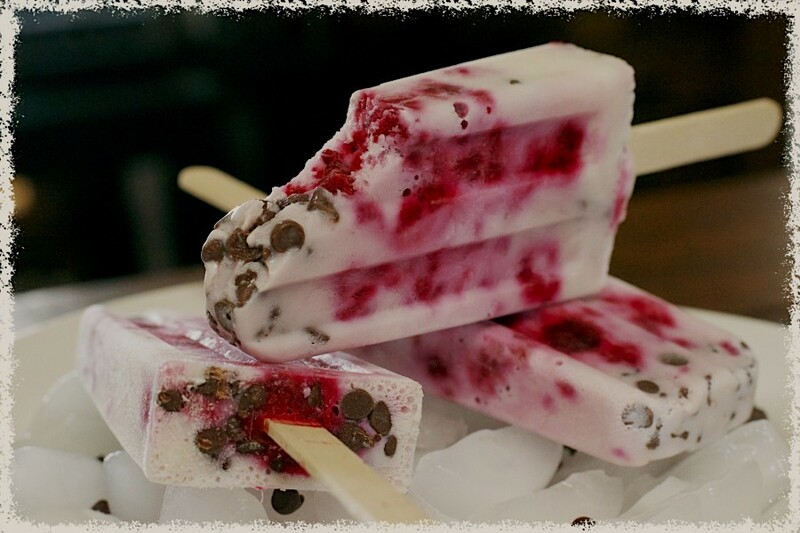 Pull the Popsicle out of the freezer. Pour 1-2 tablespoons of cream over the top of each pop and top with another teaspoon of espresso beans, add a popsicle stick to the middle. Return to the freezer and freeze until hard. To remove from the molds: Fill the sink with warm water and dip the bottoms of the molds in the warm water for 30seconds or so. 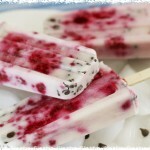 If the popsicles do not come out re-dip them.Be careful not to let them in the warm water to long or they will melt. Eat immediately, or wrap in plastic wrap and place in freezer bags and return to the freezer. Prep time does not include overnight freezing.